One of the main reasons that hedgehog populations are declining is that they often cannot get into our gardens to find food or shelter. A recent report has shown that in urban areas of the UK where people are linking their gardens the decline in numbers is slowing down. It might help our hedgehogs in Jersey if we followed their example. 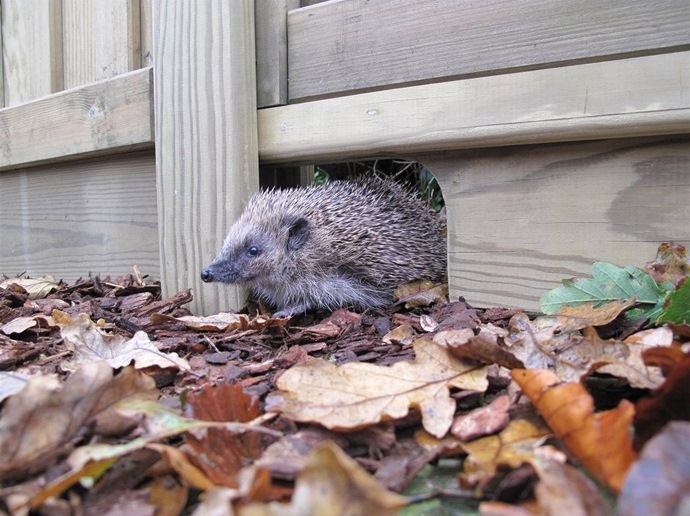 The first thing you can do is to make a 13 x 13cm hole in or under your fence or wall and link your garden with your neighbours to create a Hedgehog Highway. 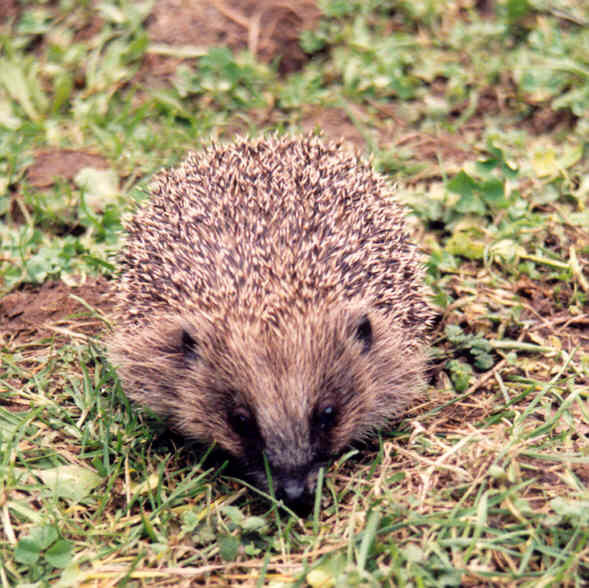 Hedgehogs really are the gardener’s friend and will eat a lot of your garden pests, like slugs and snails. Hedgehogs can roam about one mile in a night. You can register your highway and become a Hedgehog Champion. 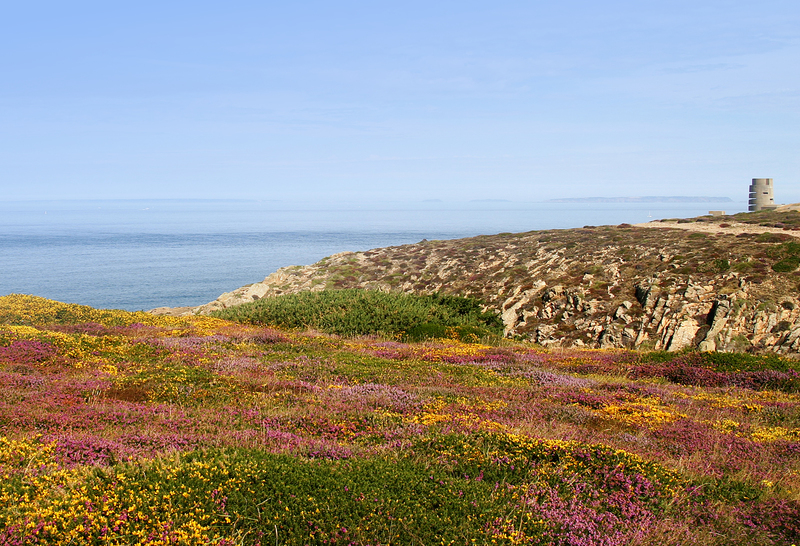 Leave a wild area to encourage insects and invertebrates – great hedgehog food! Compost your garden waste rather than burn it. Never set fire to a bonfire without checking it first. Always move it before you set it alight. 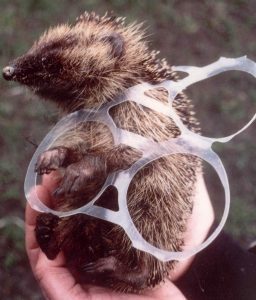 A hedgehog will see your garden rubbish as a lovely place to nest, with all too often tragic consequences. Garden ponds – provide escape ramps of stones, rough wood or wire netting. Swimming pools – rigid plastic mesh secured on the edge and trailed in the water makes a good ladder. Hedgehogs are very good swimmers and climbers, BUT they need to be offered a way out. 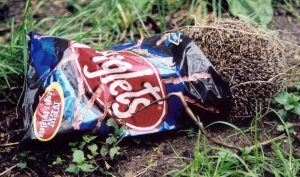 Netting, garden string and other litter can all be hazards for hedgehogs. Keep your garden clear of litter. Think hedgehog! Put out cat or dog food and water especially in dry weather. Place the food under a box with a 13cm square hole cut in the side to prevent other creatures getting to the food before the hedgehogs arrive. 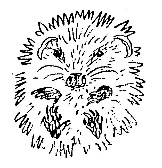 Does this hedgehog need help? Hedgehogs are nocturnal so if you see one lying out of its nest in the daytime, there may be something wrong, even if you cannot see any injury. Please pick it up with gloves and put it in a deep box and phone the Jersey Hedgehog Preservation Group on 01534 734340 as soon as you can. 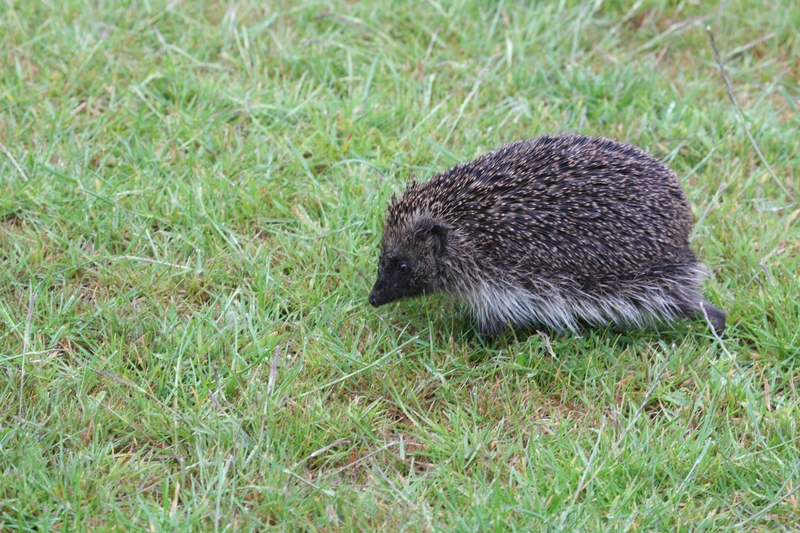 However, in the summer if you see a large hedgehog walking with purpose across your garden while it is still light, it may well be a mother with young, so please leave her alone and offer her some cat or dog food and water to help her produce milk to feed her babies. This entry was posted in Blog, Sightings, Top News by Glyn Young. Bookmark the permalink.